LED and LCD have been the most trending display options when it comes to televisions in the last couple of years. To make it clear, LCD TVs are nothing but LED TVs which are designed using an LED backlight. 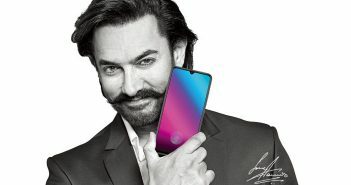 On the other hand, since OLED displays made their debut a few years back, they are also grabbing a lot of attention. So, which technology stands one step ahead of the other? Which display should you pick? Before we get into our comparison of OLED TV Vs LED TV, let’s take a look at what they are. LED short for light-emitting diode uses these diodes to backlight the display. LED TVs come in three types known as direct-lit, edge-lit and full array. The backlight on these TVs makes the pictures on the screen look very bright and vivid. These TVs look good in a bright and well-lit room. The LED TV price list consists of products that are slim, have a stunning design and display sharp and clear images. OLED TVs are similar to LED TVs in terms of design and size. However, the two stand apart when it comes to picture quality. 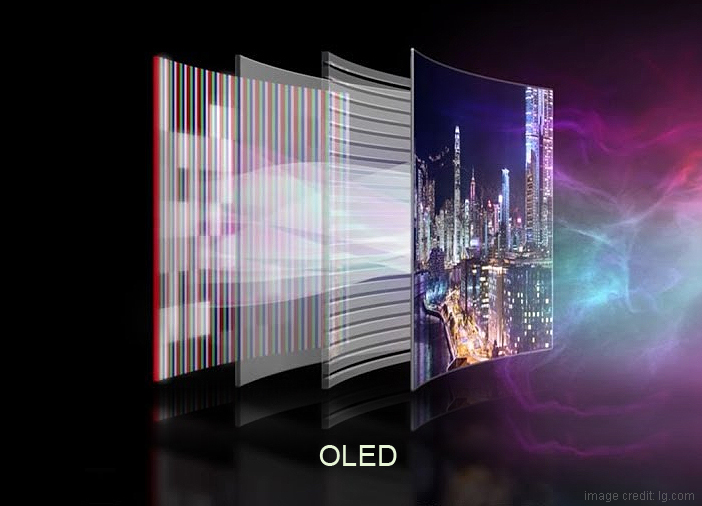 Unlike LED TVs, OLED short for organic light-emitting diode display pictures without the help of a backlight. 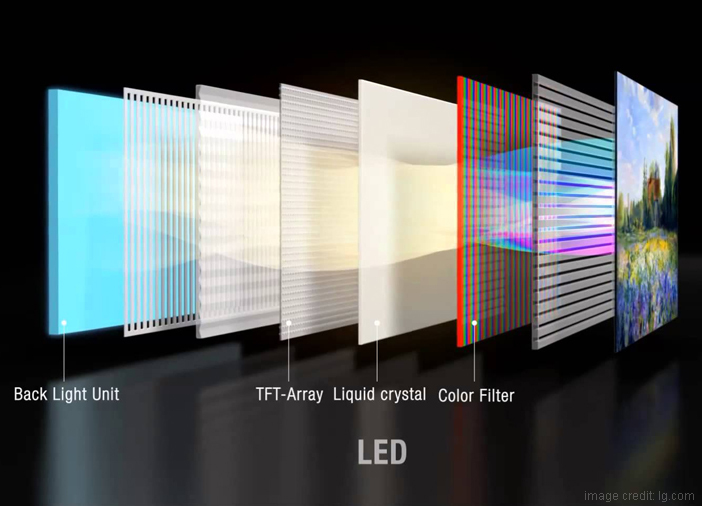 Each and every pixel in an OLED TV is self-illuminating. This makes these TVs extremely thin and flexible. Moreover, these TVs are a perfect match for dull and darkened rooms as they produce deep, inky black contrast. When it comes to the brightness level, both OLED and LED TVs do an amazing job. 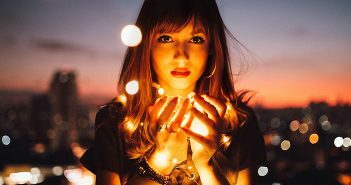 Whether it is a well-lit room or a dimly-lit room, both TV types offer vivid and bright image quality. However, LED TVs are one step ahead of its competition in terms of brightness levels because of the quantum dot. These quantum dots allow the entire screen to light up. Apart from the perfect brightness, a TV is also supposed to produce a balanced black level for attaining the desired picture quality. OLED TVs do a better job as they can turn off individual pixels to produce a balanced black level. 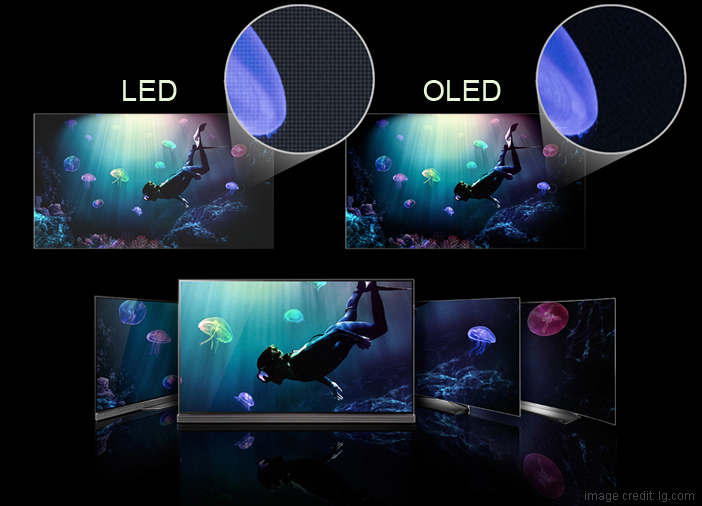 Similarly, LED TVs have the option of dimming the screen, but it is not as effective as OLED displays. We saw the brightness level and the black level, and now we come to the contrast ratio. The contrast ratio is the difference between the darkest and brightest level of a TV. As mentioned above, while both TV types offer a pretty good brightness level, OLED TVs are better in terms of brightness level. OLED TVs can produce perfect brightness and dark levels to create high contrast-ratio. Both LED and OLED offers similar screen resolutions like Full HD, HD Ready, 4K Ultra HD and much more. 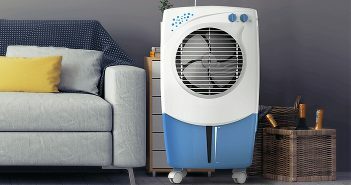 The Samsung LED TV price list and Sony LED TV price list consist of products that focus on offering a great screen resolution to its viewers. Nevertheless, both LED and OLED TVs stand on equal positions when it comes to resolution. Televisions consume a lot of power in our everyday home appliances. When it comes to LED TVs, the backlight setting can be altered to reduce power consumption. However, an OLED TV works hard to produce a bright or dark display depending on the video content eventually consuming a lot of power. In terms of energy efficiency, LED TVs are a much better option. 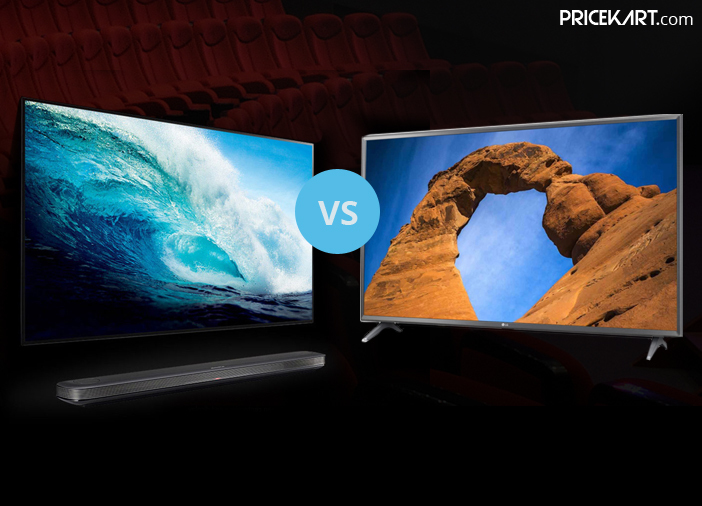 When it comes to price, LED TVs are clear winners when compared to OLED TVs. LED TVs offer television prices below 10000 and slowly go beyond Rs 2, 00,000 depending on the screen size and features that you opt for. On the other hand, OLED TVs also known as premium televisions are more on the expensive side. High-end LED TVs and OLED TVs fit a similar price range. However, LED TVs are offered in all price budgets. With this, we come to the end of OLED TV Vs LED TV. Our conclusion on OLED TV Vs LED TV is that both the TV types are similar and different in their own ways. It depends on what you are looking for. If you are looking for a TV with great contrast ratio and stunning picture quality, then OLED is the right option for you. On the other hand, if you are looking for a TV that is worth the money and easy on power consumption, then LED should be your pick.